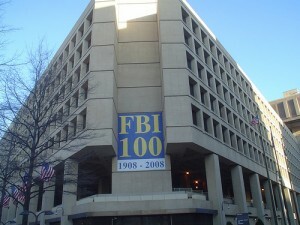 Donald Trump Is Considering a Deal to Acquire FBI Headquarters in Washington D.C.
Donald Trump’s real estate empire may soon include the FBI’s headquarters in Washington D.C., the Washington Post reports. Trump said he’s considering bidding on the J. Edgar Hoover Building for redevelopment. He already owns the building across the street, the Old Post Office Pavilion. The FBI has been looking for developers and investors to acquire the hulking building in exchange for a newly built FBI headquarters in the region. Trump said he’ll decide soon whether to bid. Posted: 9/12/13 at 8:28 AM under FBI, News Story.